My awareness of the publication of a piece entitled “Wool” grew bit by bit. I started seeing references to it in the news, on book blogs and sites, eventually via word-of-mouth. I heard it was a self-published genre (sci fi) success and without taking time to sample it, I pooh-poohed exclamations about its excellence. I knew from reality TV, fashion fads, and politics that popularity rarely equates with quality. Then a friend of mine with terminal cancer mentioned it. He’d been trying desperately for decades to get his work in print and wondered if he could beat his life’s deadline by going the self-publishing route. After researching “Wool’s” progression a bit, I learned author Hugh Howey had written the first section as a short story, and reader response motivated him to continue with four more sections. It became a huge best-seller and found a mainstream publisher. Still not convinced, I purchased the first section of the novel. “Holston,” part one, deals with a law enforcement officer who rejects his post and his society (located in an immense underground silo) to commit suicide by venturing into the toxic outside. Say what? A protagonist who’s killed off in the beginning of the plot? Surely a violation of one of the canons of writing a novel. Plus the title made almost no sense. The major mention of “wool” was its use as a material to clean screens. What kept me reading the entire work? The initial section left enough puzzling points, raised sufficient intriguing questions that I was drawn in and hoped the rest of the novel would address these. Another strong reason—Howey’s world was absolutely real from the get-go. In fact throughout the 500+ pages, I never forgot the majority of the settings were deep underground; and I got claustrophobic! Now, weeks after completing the book, it dogs me. Howey’s writing style isn’t especially compelling, although it’s solid. The plot and characters aren’t peculiar or unique. Yet I find myself thinking of it often—how it captures personalities, contains compelling conflicts, moves faster and faster through crises. And I realize I’m using “Wool” as a kind of primer for novel-writing. As time passes, I also find many instances in which wool can apply to the novel. Examples: pulling the wool over your eyes. . .dyed in the wool. . .wrapped in wool. . .woolgathering. . .cotton wool. 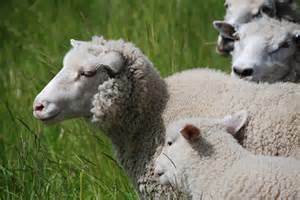 Then add in terms associated with sheep (sheep to a slaughter, stupid as a sheep, wolf in sheep’s clothing) and knitting-related terms. The depth of the book expanded exponentially, its pertinence to contemporary life became obvious. Serendipity occurs frequently to me when I discover books that seem to illustrate or complement other books I’ve read, I’m now scrutinizing “How to Read Literature Like a Professor” (Thomas Foster, 2014) with its wealth of information about symbolism and irony in fiction. I’m again returning over and over to “Wool” for examples to show me about incorporating a new, perhaps deeper level into my writing. So hooray for “Wool.” No alien monsters. No mystifying technology or eons-away science. At the conclusion of the book, we’re left musing over ethical dilemmas and diverse characters, all in a fast-paced plot. We confront personalities familiar during our own times, perhaps even the faces we see in mirrors. This entry was posted in Book Reviews, To Think About, Writing and tagged action, best seller, How to Read Literature Like a Professor, Hugh Howey, plot, symbolism, Thomas Foster, Wool, writing, writing rules by Bonnie McCune. Bookmark the permalink.